Mahindra Quanto Diesel – can be game changer if things go right! 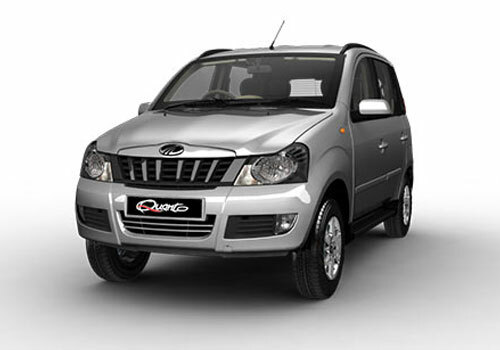 I have already made up my mind to book Mahindra Quanto Diesel because I am probably relying upon the fact that its big-sized predecessor, Mahindra Xylo was a successful MUV in India and that may directly imply that Quanto will also taste sweet success. In fact, I am expecting that this mini SUV has the potential to go a step further. Actually, I feel that it’s all about the reliability that M&M has in Indian auto sector and as a successful SUV maker. They have created a mini-SUV (a 5 seater car) which has smaller space but gives all other comforts a SUV offers. For a very cheap price, now people like me can experience the joy, ride and handling of a big and tall car. Even if it can’t accommodate more people, one can enjoy the pleasure of driving a big car with Quanto. Then, its looks are so attractive. It has almost exactly same profile as huge Xylo. The 1.5L diesel engine is downsized but isn’t ineffective. The only problem that quanto can give is in terms of space. It has a very small boot space and that is equal to that of a hatchback may be. But for me it isn’t a great issue. I am planning to buy it for the sake of deriving driving pleasure and not for carrying a number of people around. I am really looking forward to take it out on a long drive.